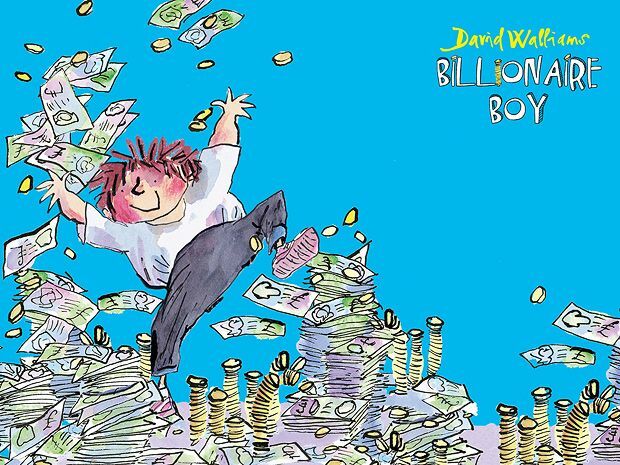 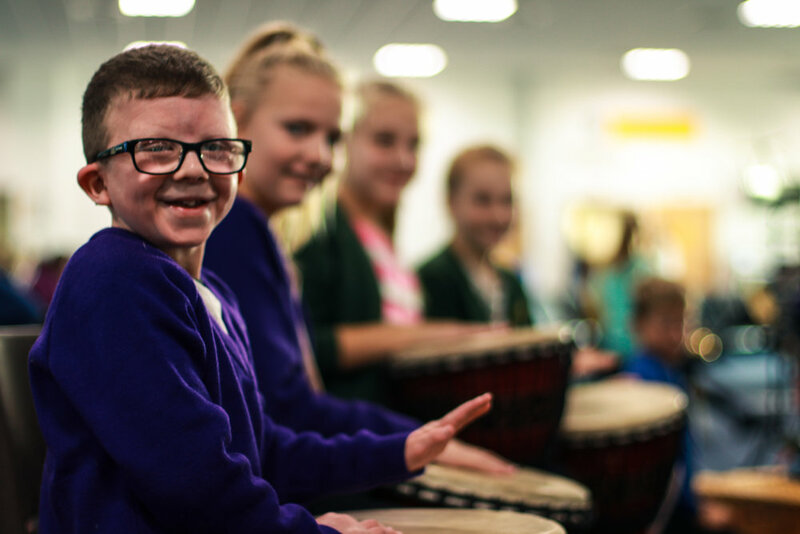 In a bumper edition of the Everybody Sing Song Bank, Southampton Music Hub brings you two new health and well being themed songs this month. 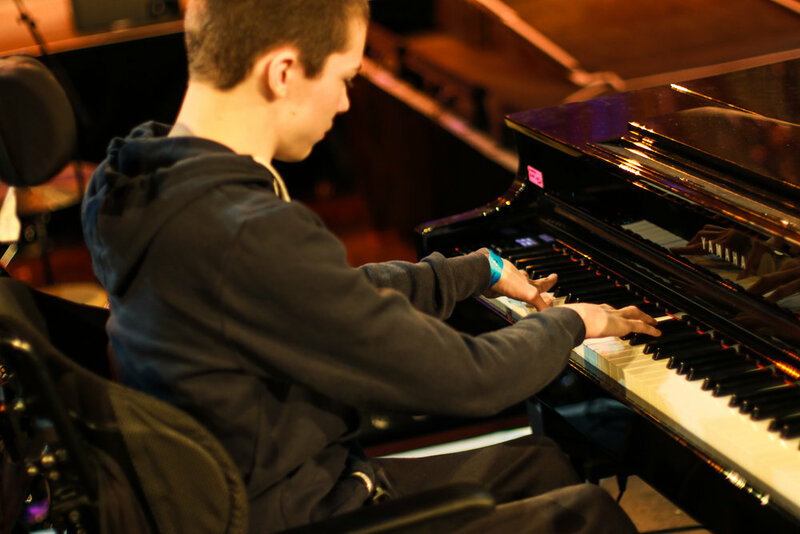 The two songs — ‘Resilience’ and ‘Tell Me What Emotions Are’ — were written by Jo Downs: ‘Resilience’ encourages young singers to keep on trying at whatever they do; and ‘Tell Me What Emotions Are’ helps singers to use their voice in different ways, to express different emotions. 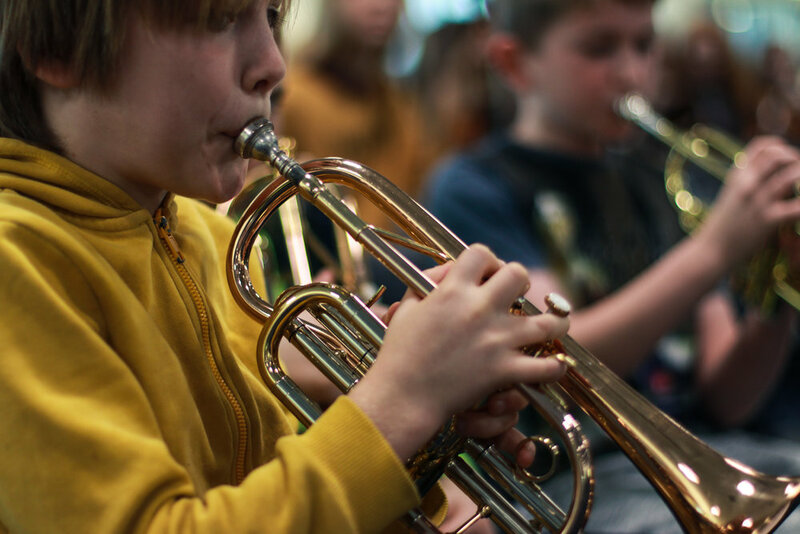 Both songs are accompanied by a short podcast episode for teachers and music leaders: each one including a new vocal warm up (the Warm Up of the Week) and a singing game or round (Simple Silly Starters) alongside hints and tips on how to get the best from each song. 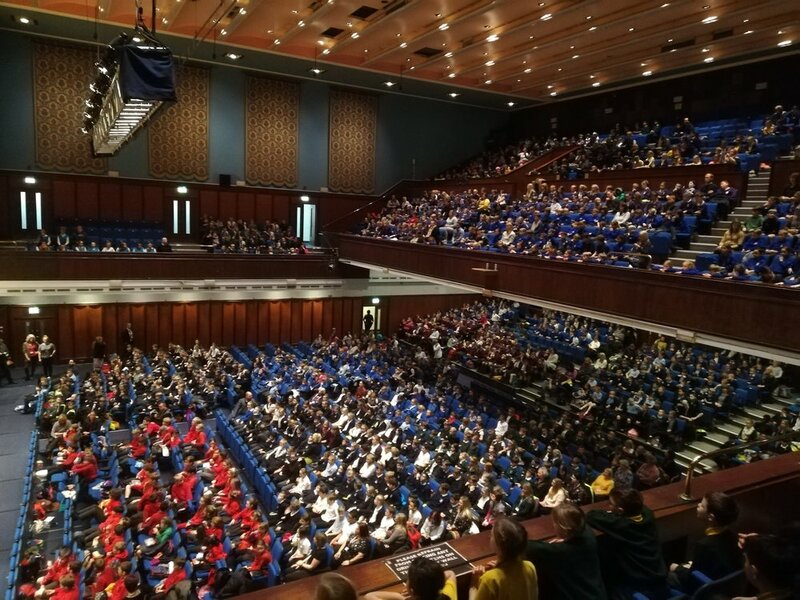 On Thursday 24 January pulls from across Southampton, Portsmouth, Isle of Wight and Hampshire came together at Portsmouth Guildhall for the annual school’s concert from Bournemouth Symphony Orchestra (BSO). 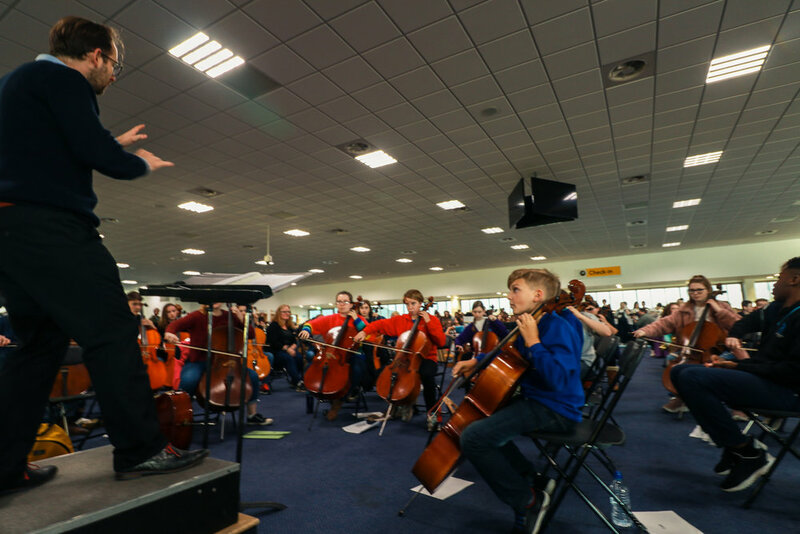 The audience were entertained by music about celebration: commemorating the recent 125th anniversary for the BSO. 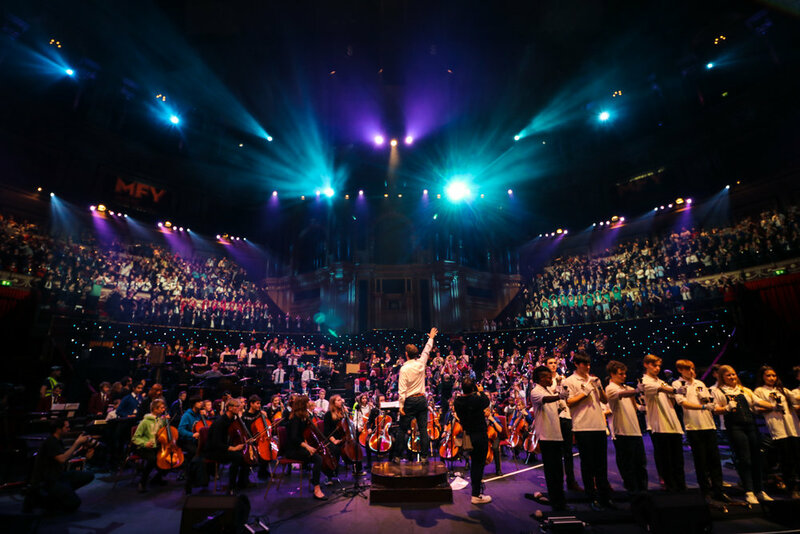 The audience then became the performers and joined the BSO to sing the songs ‘Musical Fireworks’, written by James Redwood, and ‘Ode to Joy’, composed by Beethoven. 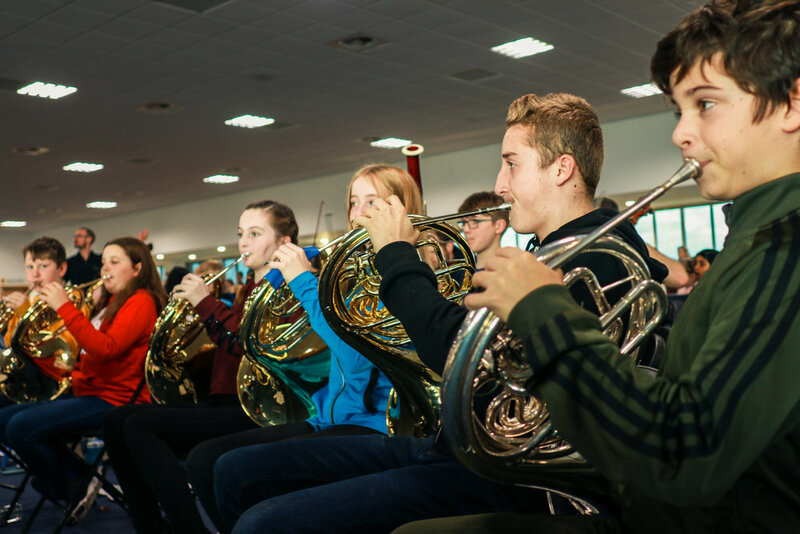 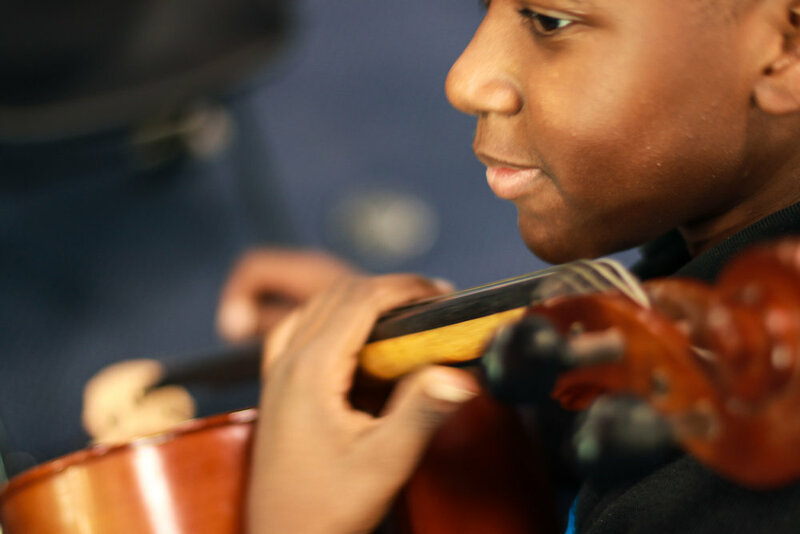 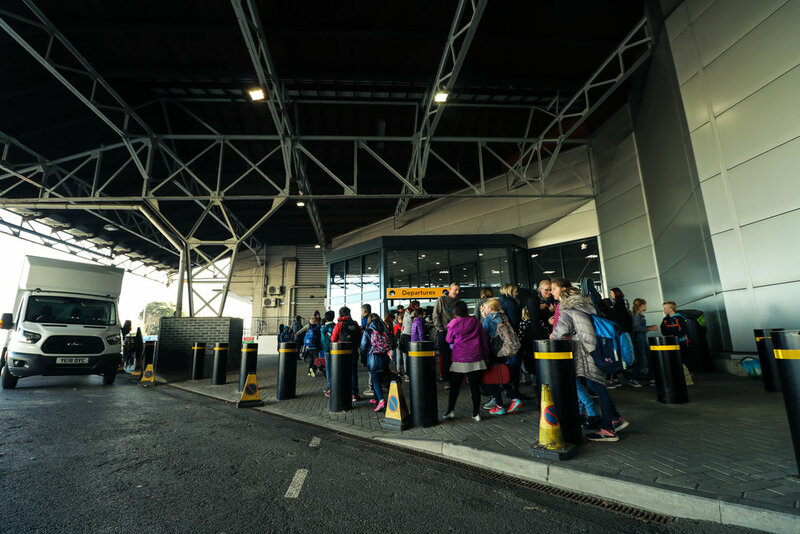 The BSO School’s Concert is one of many inspiring and inclusive live music experiences available to Southampton Schools on the Stadium Tour. 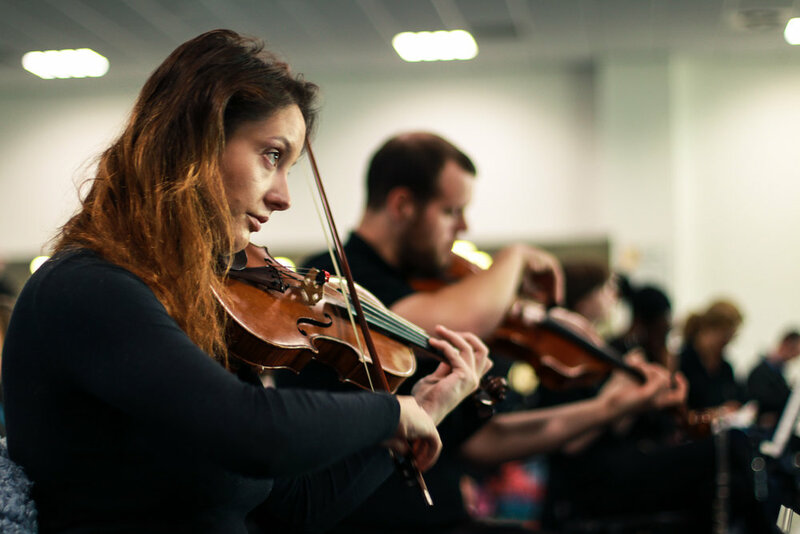 On Monday 21 January, the Mayflower 400 project was officially launched in Southampton, and as part of the prestigious and very well attended event in Central Library, Richard Taunton Sixth Form College (RTSFC) Choir was invited to perform by Southampton Music Hub. 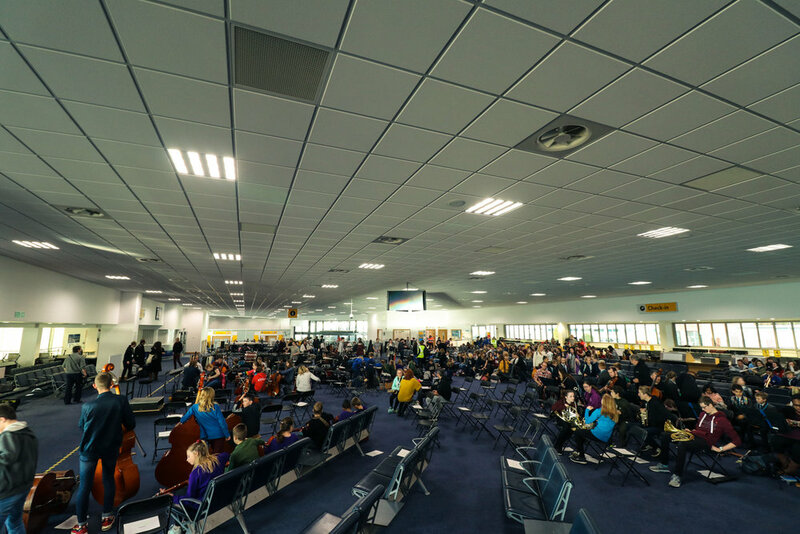 The choir performed two pieces: Blow the Wind Southerly and I am Sailing. 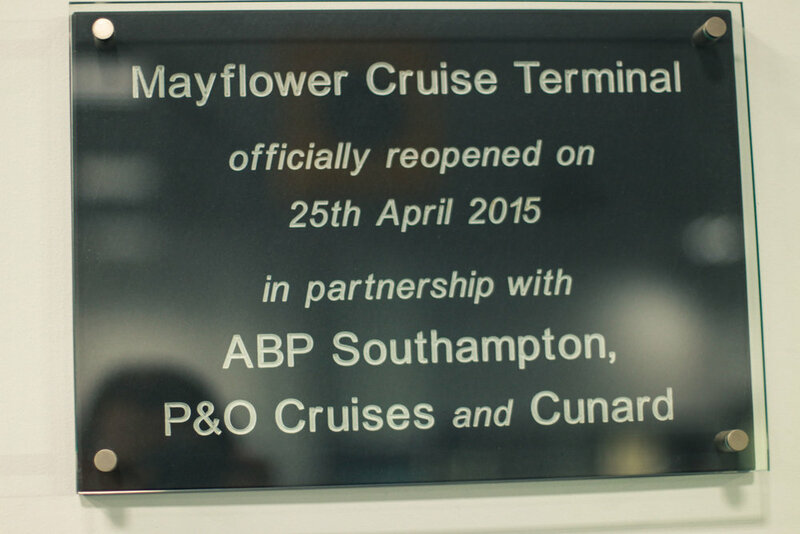 The Mayflower 400 commemorations seek to unite the Southampton community and surrounding areas, inspire creativity, drive economic growth, enhance the visitor experience and promote understanding and education of this pivotal moment in history. 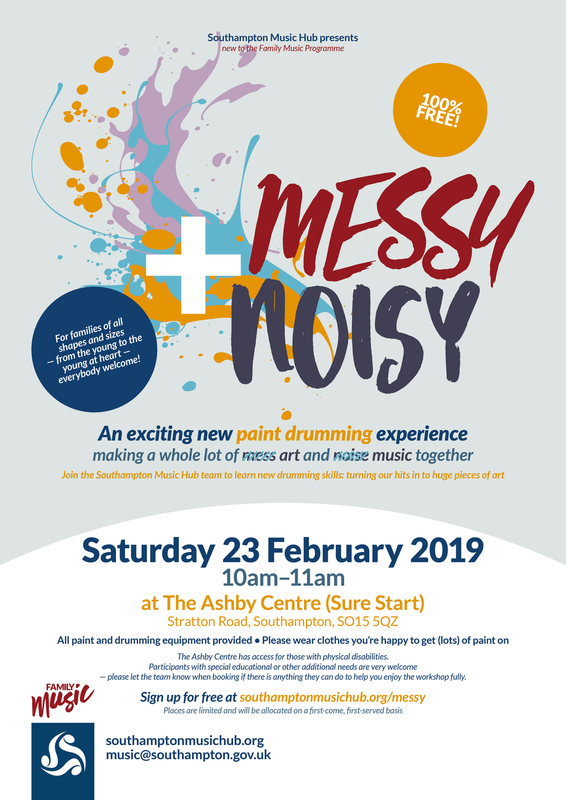 Driving this is the need to engage with young people and help them to understand Southampton’s relationship with the sea. 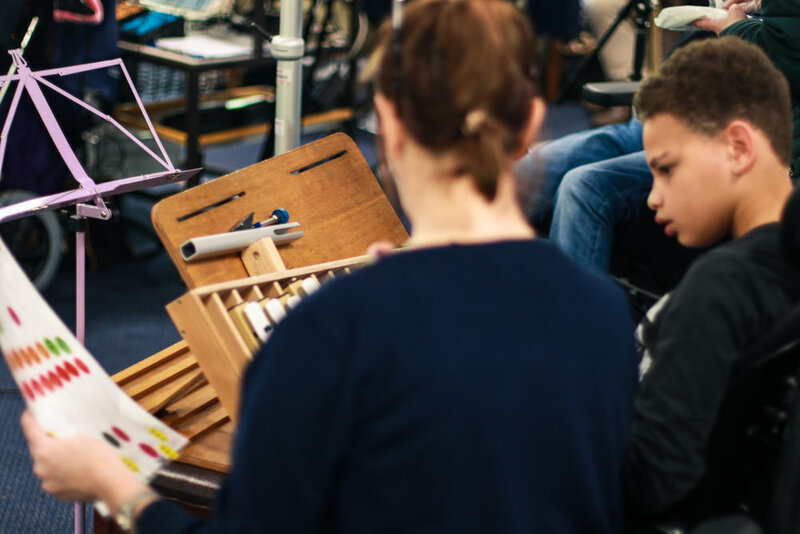 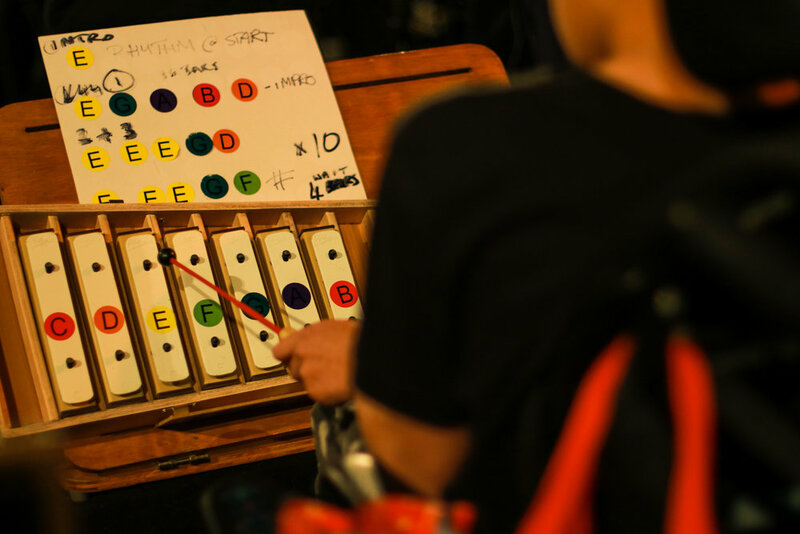 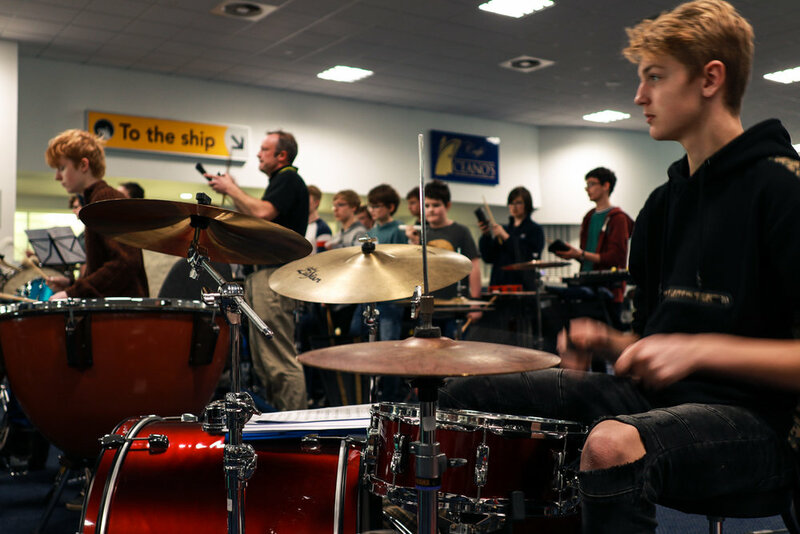 In September 2018, Southampton and Isle of Wight Music Hubs launched the Synthesis Project: a Youth Music funded project to help young electronic musicians overcome the challenges they face in life by making music together in iPad clubs, bands and orchestras. 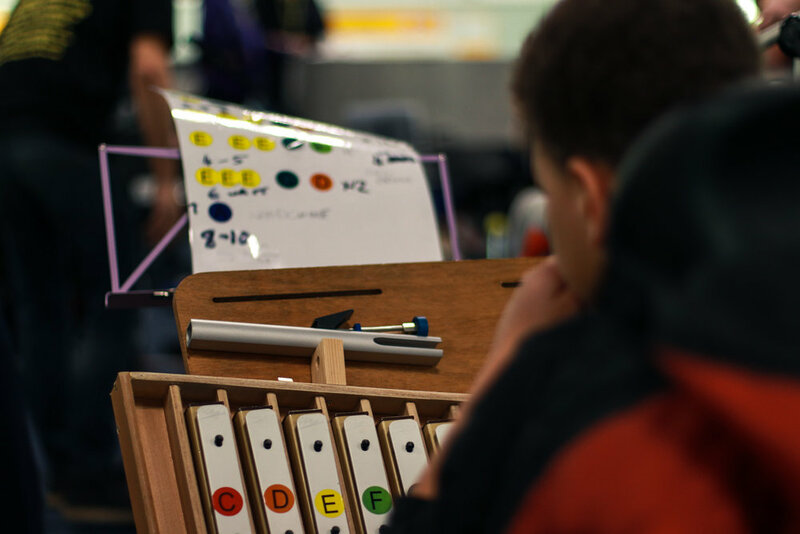 In the first twelve weeks of the project, 20 participants have taken part in over 50 hours of electronic music-making. 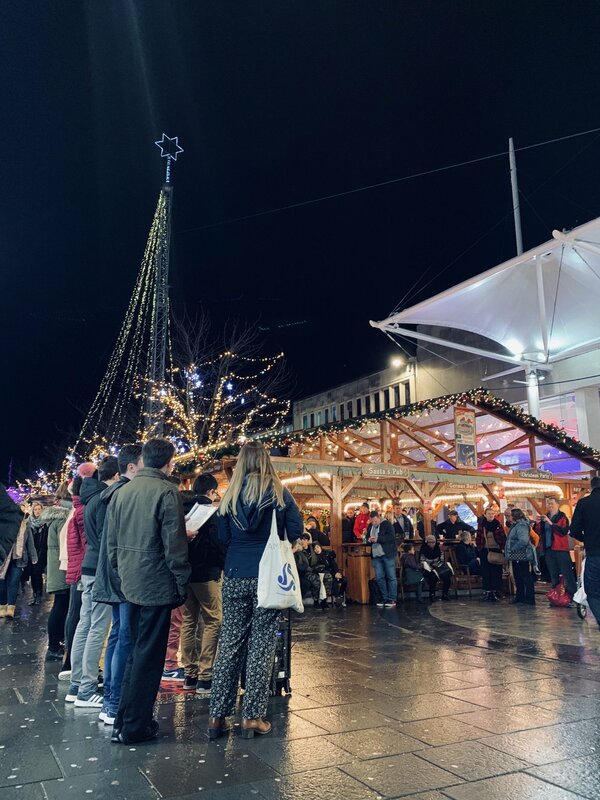 From 5.30–6pm this evening — Wednesday 19 December — singers from Bitterne Park School filled Southampton High Street with the sounds of Christmas music, sharing festive feelings with shoppers and families visiting the city centre in the final week before Christmas. 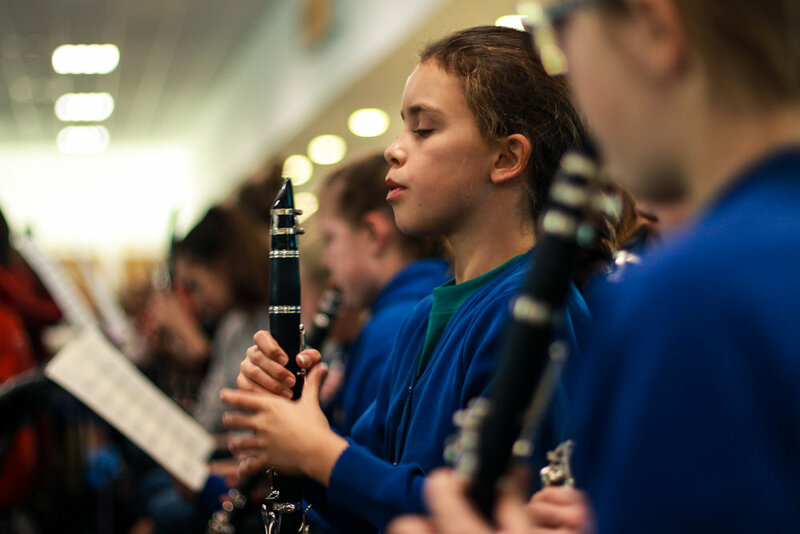 Thursday 6 December was the first event in the year long collaboration programme between the Mayflower Theatre and Southampton Music Hub. 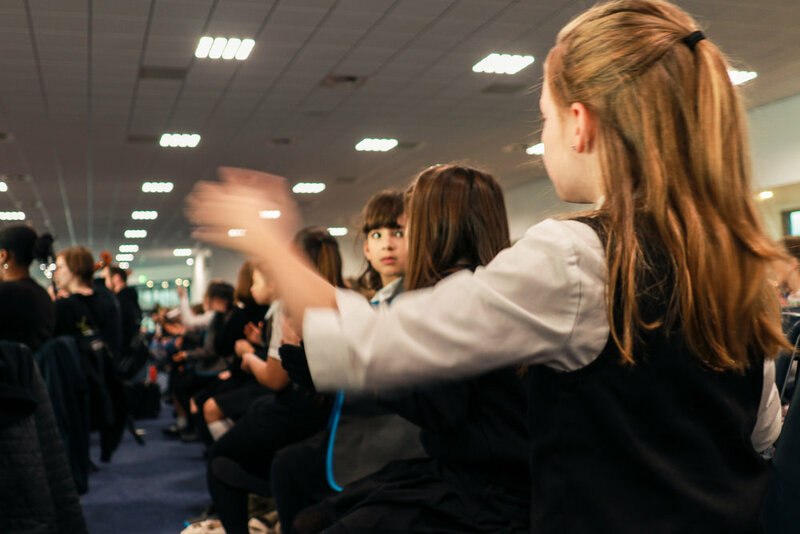 Pupils and teachers from across Southampton took part in music and drama workshops, getting to know the characters and themes of the show before watching the matinee performance. 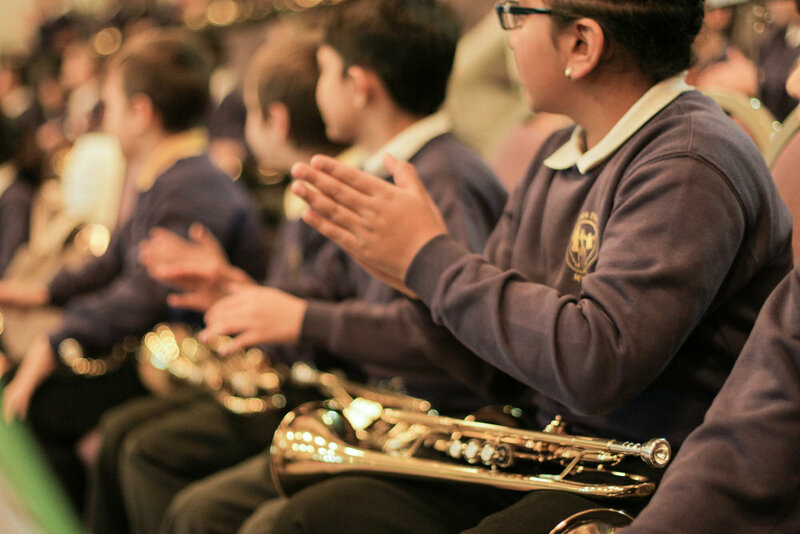 Shrek will be at the Mayflower until 8th December. 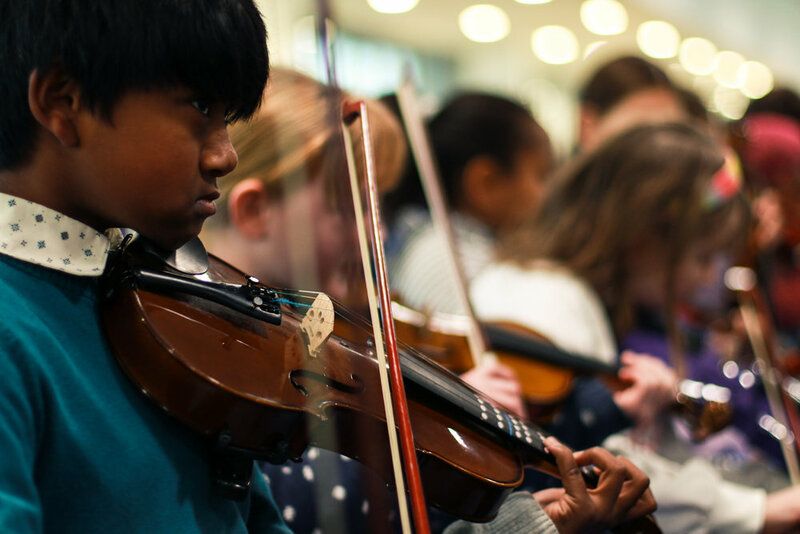 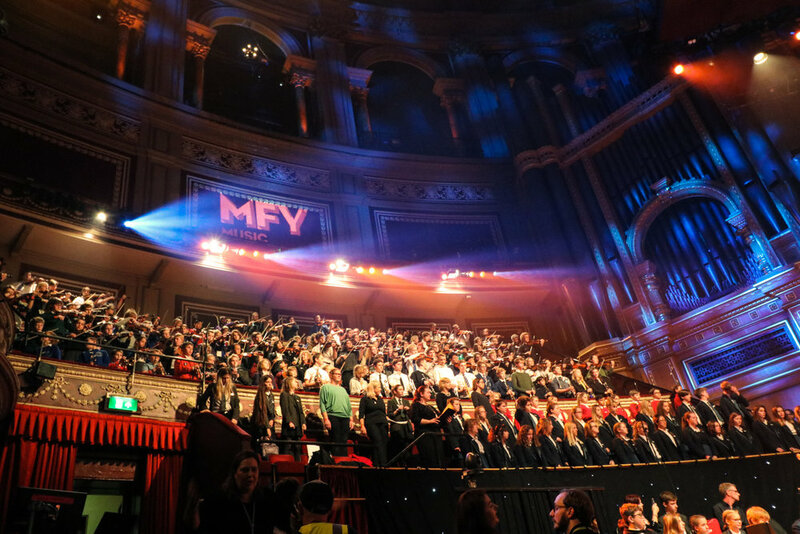 As part of the countdown to Symphony 125 at the Royal Albert Hall next week, Southampton Music Hub is shining a spotlight of some of the young musicians who will be part of the 600 strong massed ensemble that will perform alongside Bournemouth Symphony Orchestra at this momentous event. 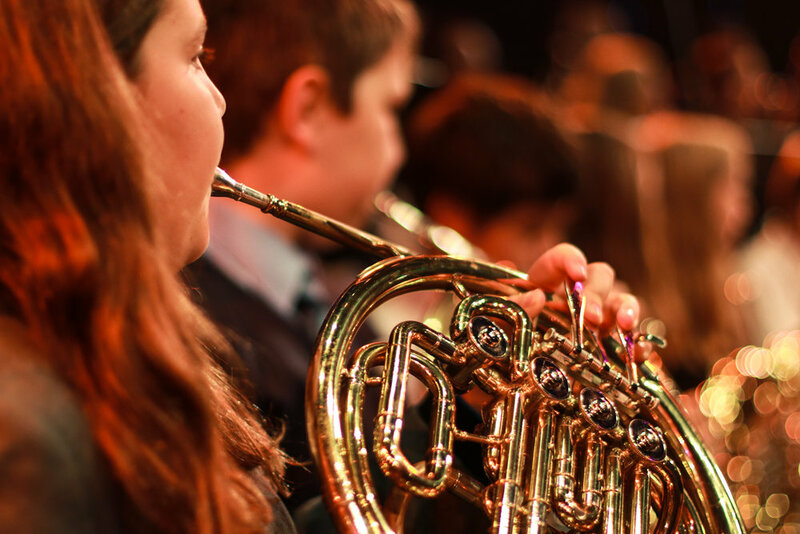 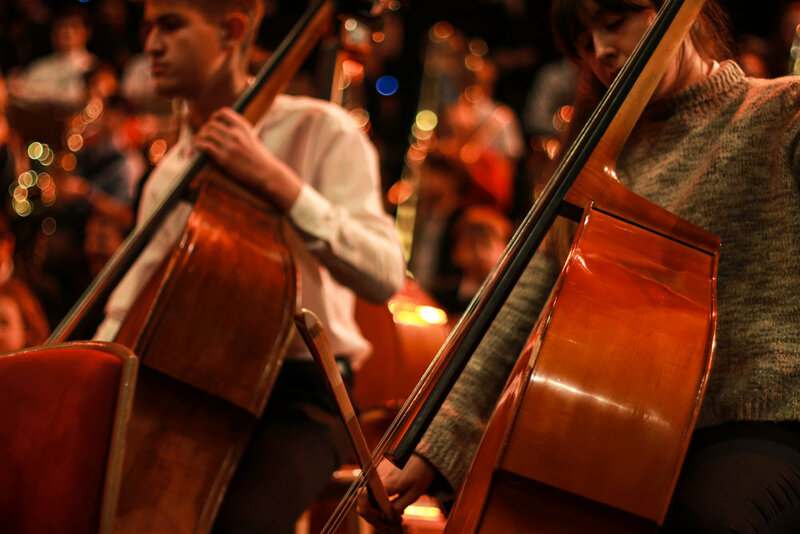 Today, the spotlight turns to some of the city’s most talented young orchestral musicians: the members of Southampton Youth Orchestra (SYO) and Southampton Youth Concert Sinfonia (SYCS) who will be part of the 200 young musicians coming from across the city. 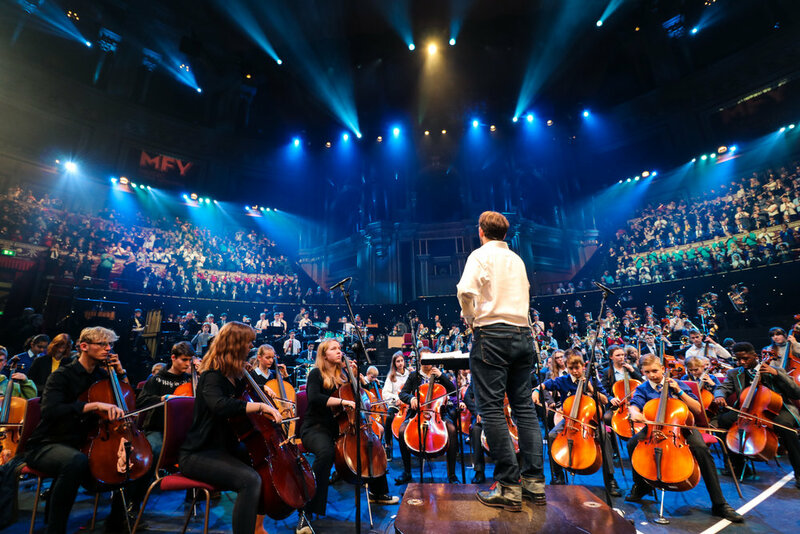 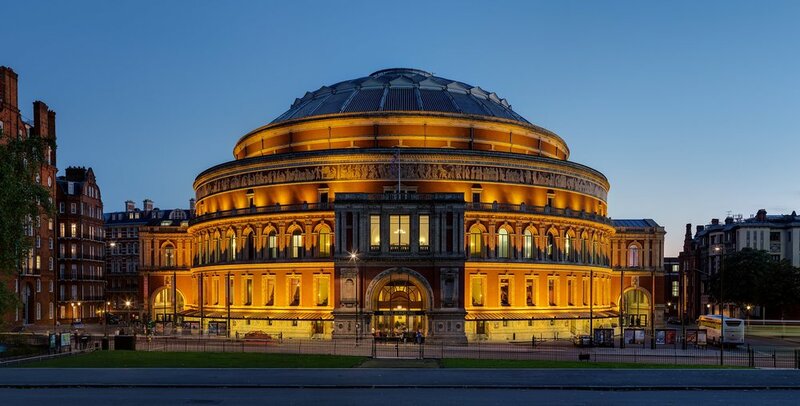 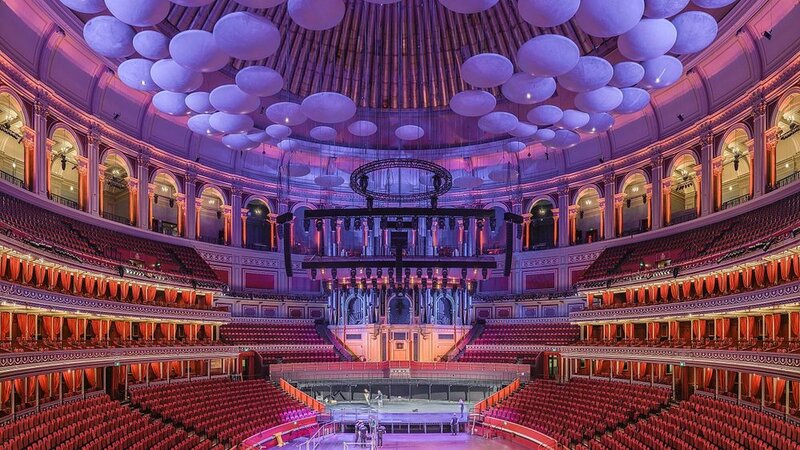 Exactly one week today — on Monday 5 November 2018 — 200 young musicians from across Southampton will take part in a momentous performance of Symphony 125 at the Royal Albert Hall. 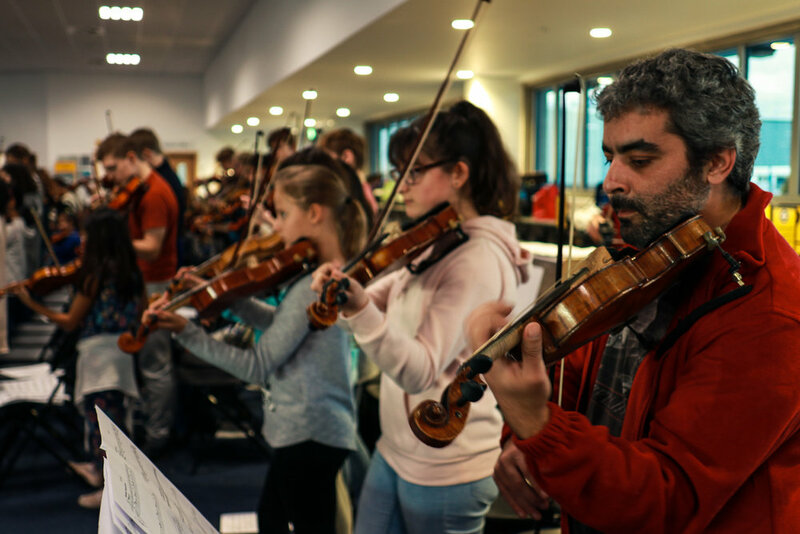 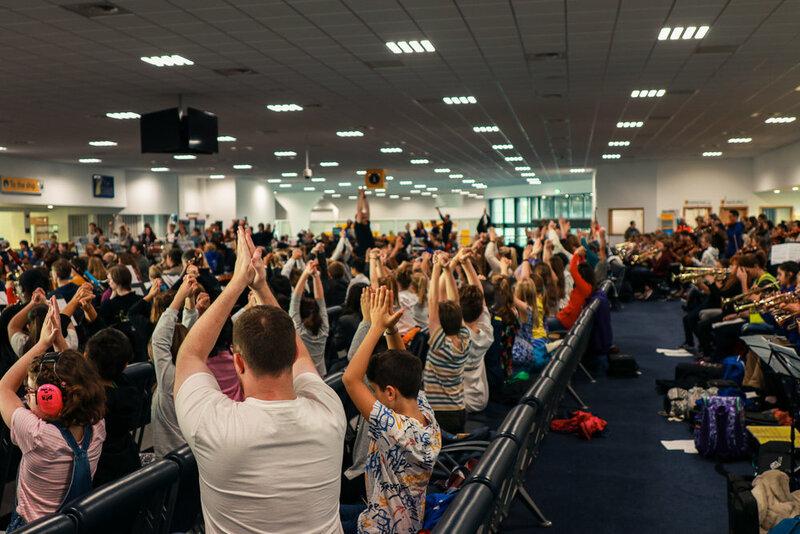 Along with a further 350 young musicians from Isle of Wight, Poole and Bournemouth, the new massed ensemble will be joined by 13 members of Bournemouth Symphony Orchestra and conducted by Frank Zielhorst. 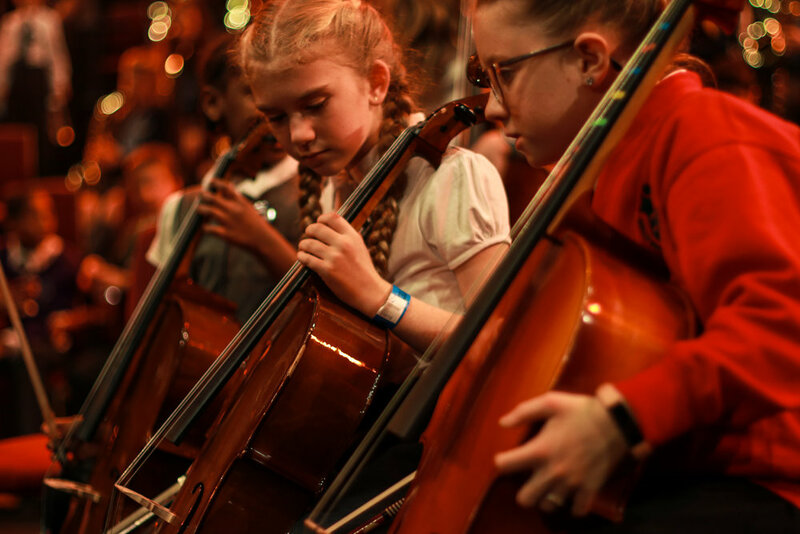 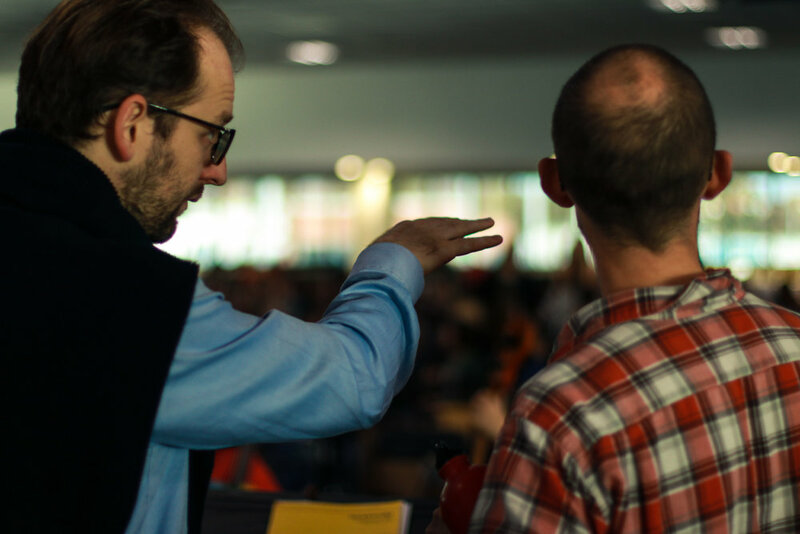 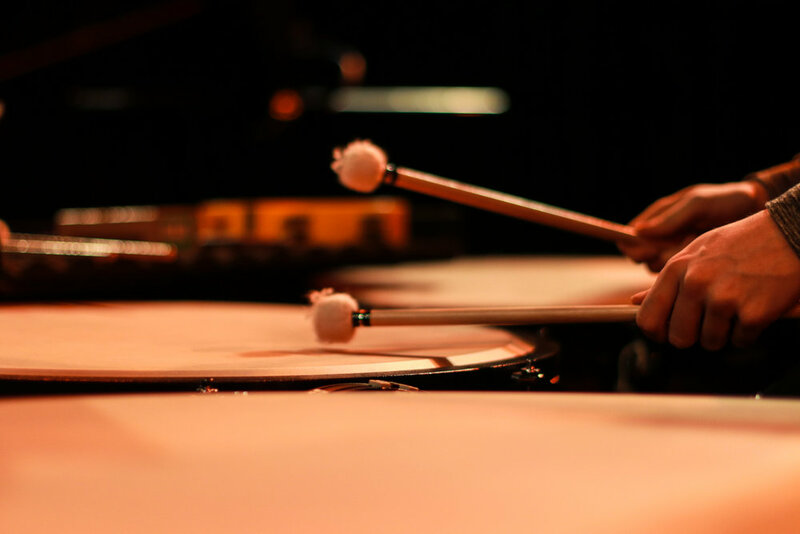 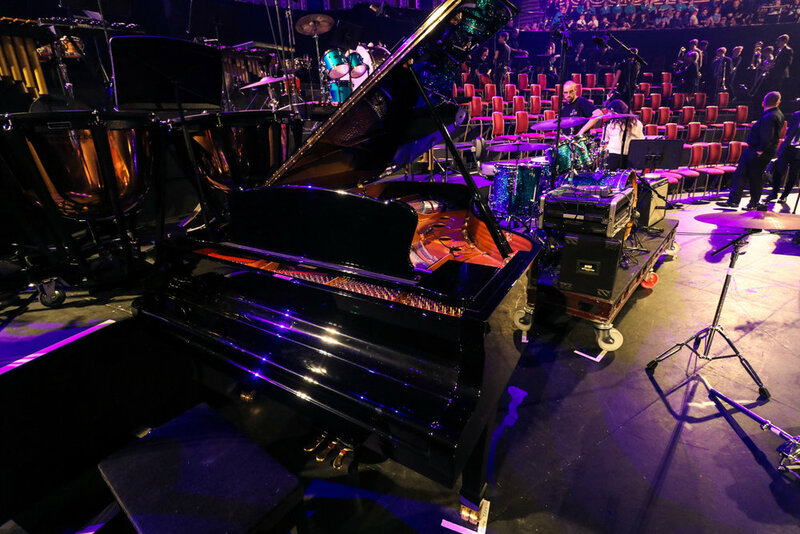 This remarkable event is part of Southampton Music Hub’s annual Stadium Tour programme, which brings inspiring and inclusive music experiences touring across the city. 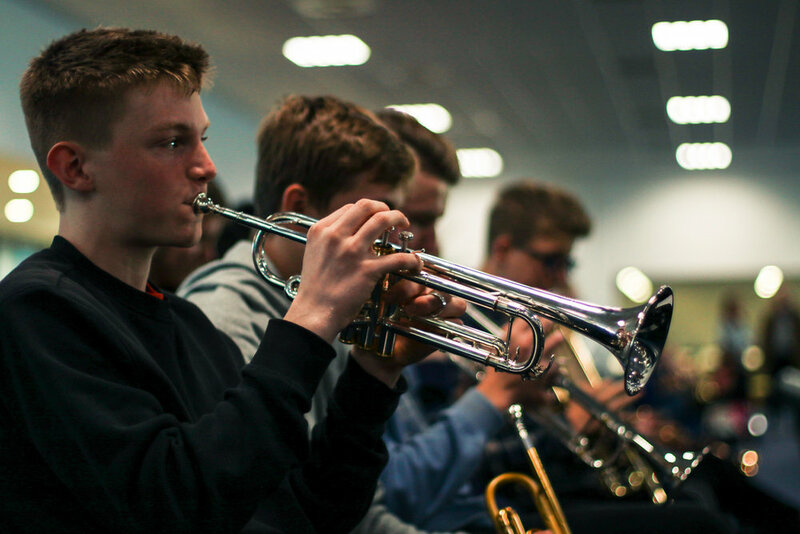 In past years, the Stadium Tour has brought world-class musicians in to schools and the community. 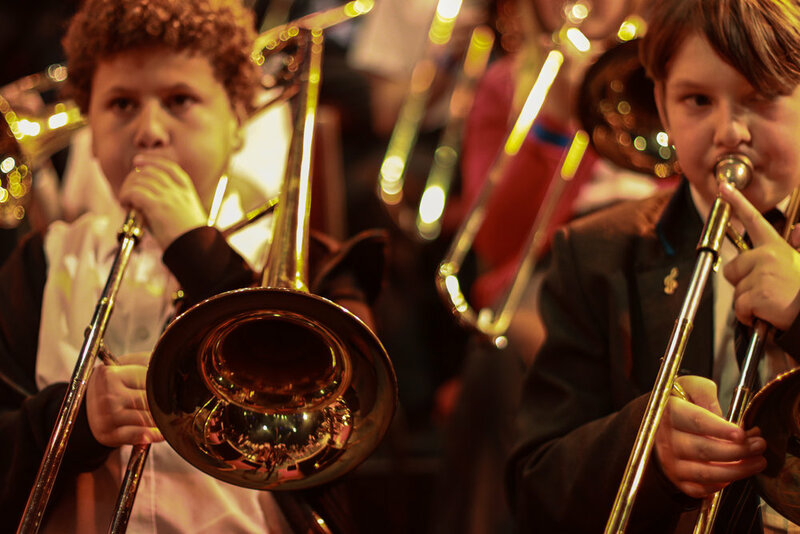 This is the first time the Stadium Tour has ever taken the young musicians to a world-renowned venue outside the city. 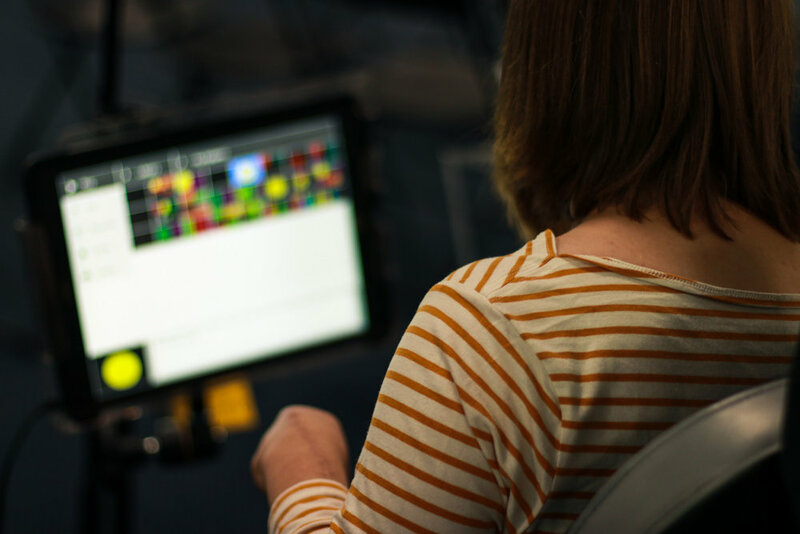 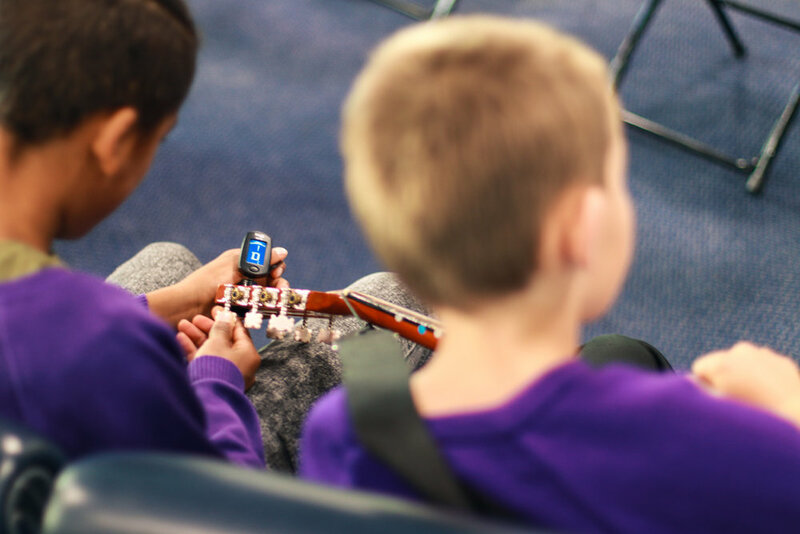 September and October saw the launch of two new iPad bands, kick starting the first stage of the Southampton and Isle of Wight Music Hub’s Synthesis Project. 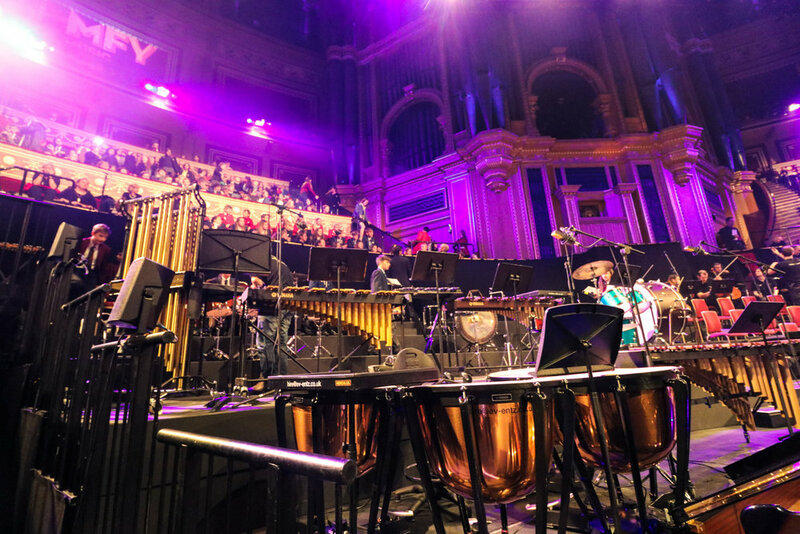 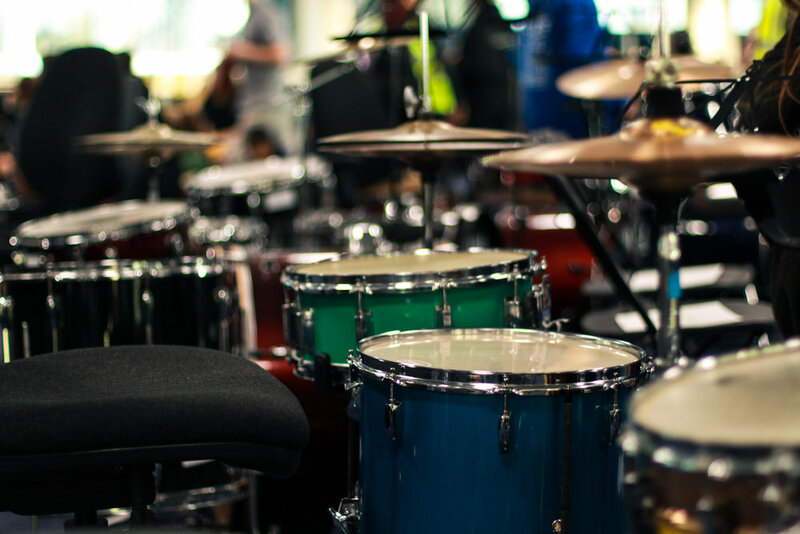 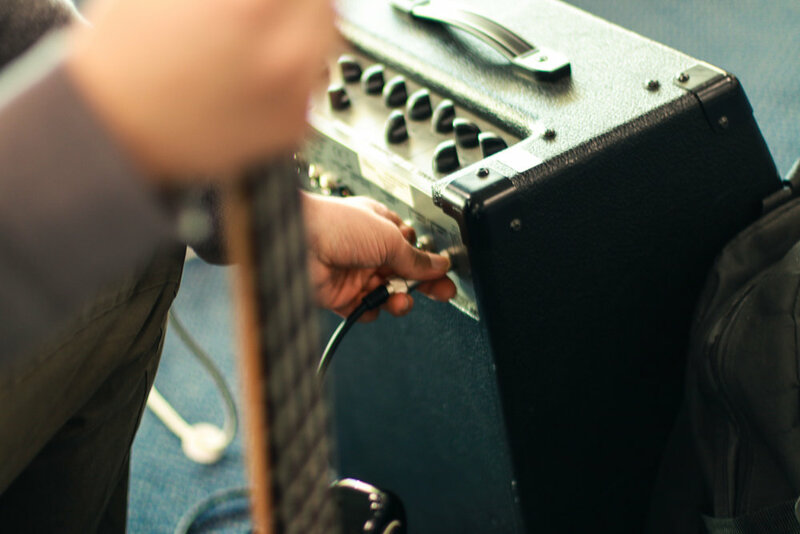 Taking place at Vermont School and Oasis Academy Mayfield, the two new bands are made up of young electronic musicians, invited by their schools to be part of this exciting new opportunity. 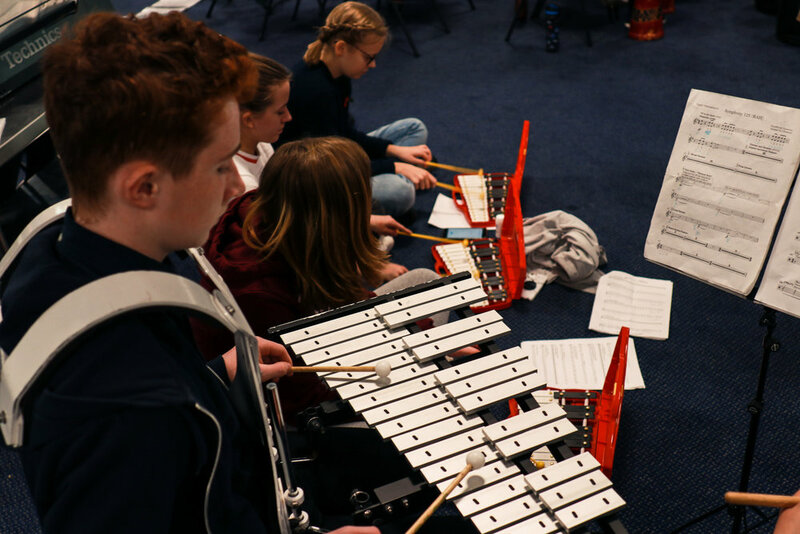 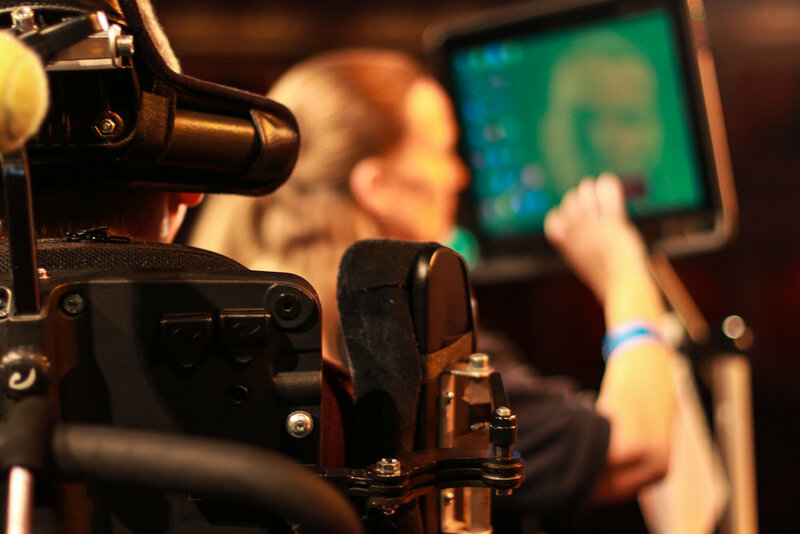 The two iPad bands are part of three year project, which has been funded by a £100,000 grant from Youth Music, and match funded with £10,000 from Southampton City Council. 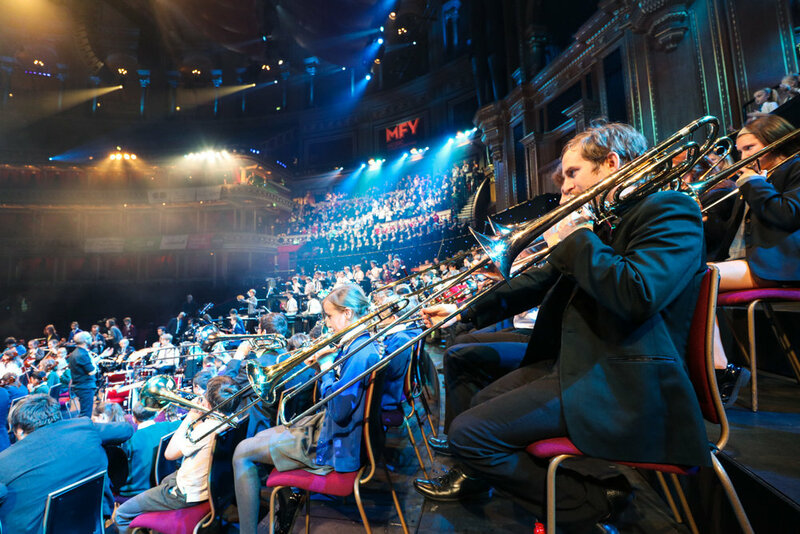 Starting in October, new iPad bands will be starting on the Isle of Wight, and, over the next three years, they will be joined by new iPad clubs and orchestras across the region. 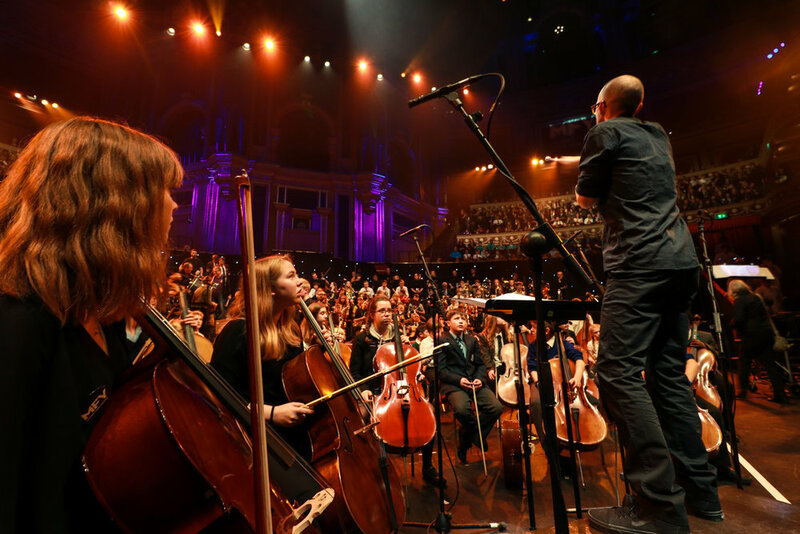 Released today, ‘A Hundred Years’ is the latest free song in the Everybody Sing Song Bank: written by Jo Downs to remember a hundred years since the guns fell silent on the world’s first truly global war. 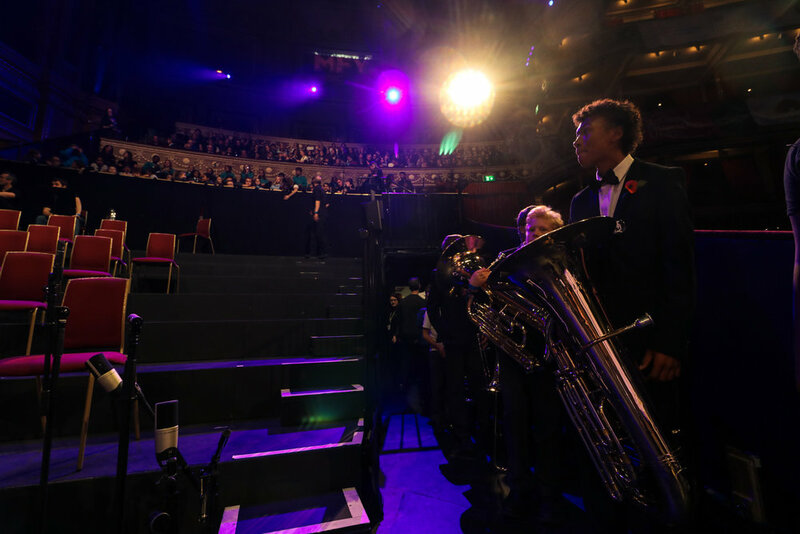 The song is a moving tribute to those who gave their lives in World War One, reflecting on the sacrifices made by those that took part, and the freedoms they won for generations to come. 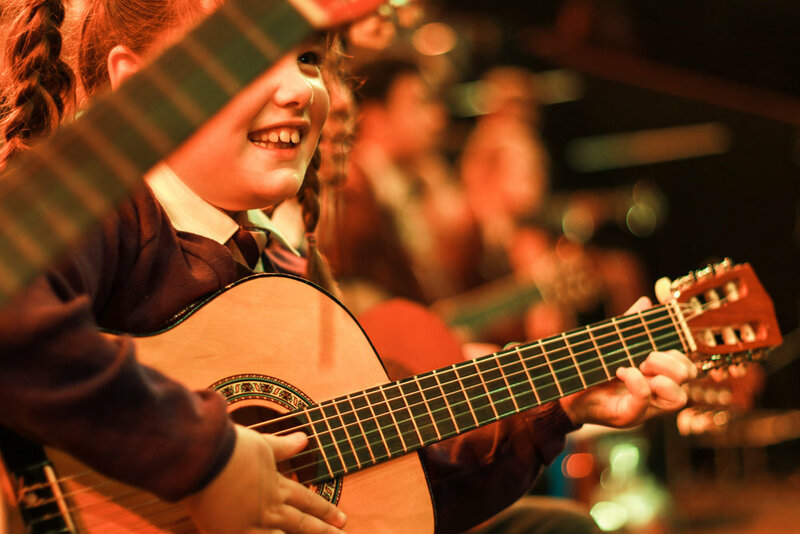 The song is can be sung by all ages, with simple melodies that can be followed even by very young or inexperienced singers, and harmonies that can be sing by more confident or experienced ones. 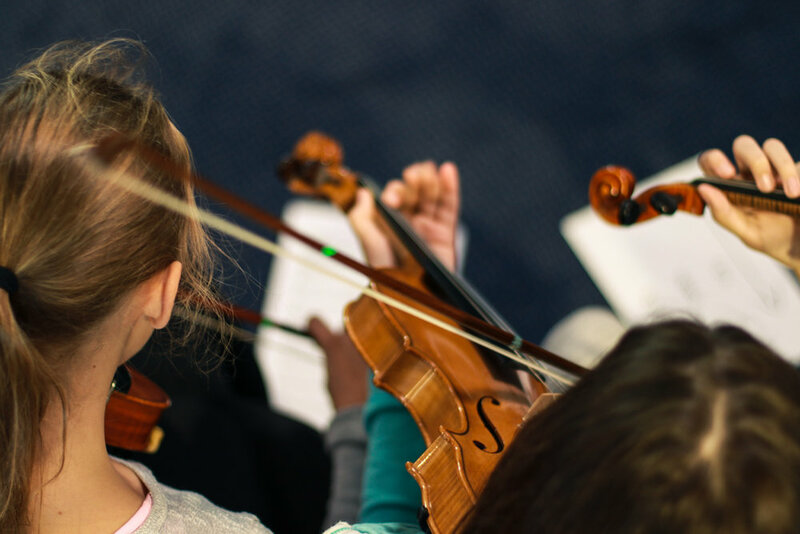 Included with the song is a new episode of the Everybody Sing Podcast: helping teachers and music leaders get the most out of the song with warm ups, singing games and helpful tips for learning the song.